As the mobile market continues to heat up, so too does the competition among various component manufacturers. Corning’s claim to mobile fame came several years ago when they were contracted to provide Gorilla Glass for the iPhone. The glass manufacturer hasn’t rested on their laurels as they have developed and released more advanced products since then. But now a German glass developer by the name of Schott is taking aim at their market with a new product called Xensation glass. Schott is vying for the opportunity to develop the glass for your next smartphone with claims that their Xensation glass has a 20 percent higher bending rate than the competition. Their product is made from ultra-strong alumino-silicate glass that is said to offer superior resistance to breakage and scratches. Xensation glass was originally announced in the fall of 2011 and has since gone through a rigorous qualification process at multiple electronics companies. According to the company, feedback from various manufacturers was very positive. They are now planning to ship first models of touch screen devices using Xensation glass in the third quarter of 2012, although it’s unclear at this point which companies have signed on to use the new glass. 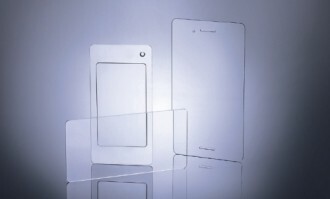 "We are pleased to offer device manufacturers and consumers a new, high-performance alternative in the market for damage-resistant cover glass that not only offers optimal protection for their devices, but also enables sleeker, slimmer designs," said Professor Udo Ungeheuer, Chairman of the Management Board at Schott. Schott has been in business for over 125 years and has over 17,000 employees worldwide. They have a strong foothold in household appliances, pharmaceuticals, solar energy, electronics, optics and the automotive industry.